The tale of two Waltz Kings: how the Strauss family took Europe by storm during the nineteenth century. The Strauss family name is forever intertwined with Vienna - as is their music. Two generations of this remarkable family transformed and popularised the waltz, delighting all of Viennese society with their prolific compositions. But behind the melody lay a darker discord, as the Strausses tore themselves apart while Vienna itself struggled to secure its place in a rapidly changing world. Discover the truth behind Vienna's extraordinary musical dynasty. Ever since watching the Sound of Music as a youngster, I've loved the sound of the waltz and the beauty of Austria. There's no greater composer of the waltz than The Waltz King himself, Johann Strauss. On picking up this book, I was immediately enchanted with the gaiety and exuberance of the Viennese way of life. 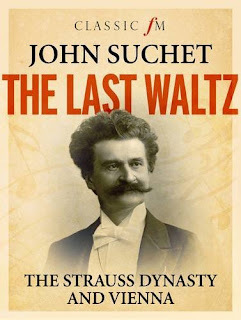 By interspersing Strauss history with Austrian history it kept my interest throughout, as one would expect from the wonderful John Suchet. 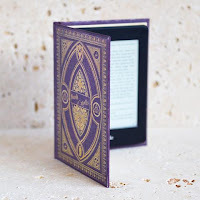 From the introduction of coffee to Vienna following the attempted Turkish siege to the assassination of Archduke Franz Ferdinand that triggered World War I, this is a book that will fascinate anyone with a love of history. The Strauss family history is no less turbulent. I had absolutely no idea that composers such as Strauss went on tour. I was amazed to read that Johann Strauss senior toured Europe and the UK, even playing for Queen Victoria before she was crowned. 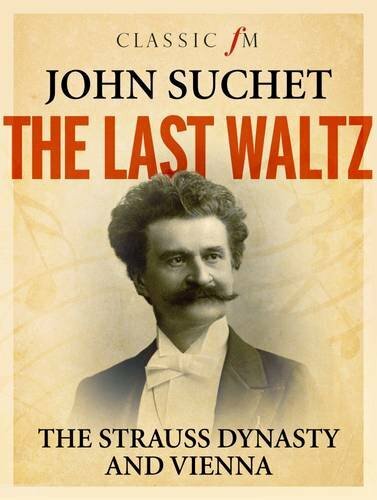 It is clear that John Suchet has a love of Strauss. The way some of the pieces are described meant that I could almost hear them in my head whilst I was reading. Some people new to classical music might think that they don't know any of the compositions of Strauss but as soon as you hear them they become instantly recognisable - see the youtube video below. Strauss does indeed make you happy and you can't help but hum or whistle along, tap your feet and feel the smile light up your face when you listen to Strauss. Beautifully written with fascinating photographs throughout, this is a must read for anyone with a love of classical music or an interest in the Habsburg empire.